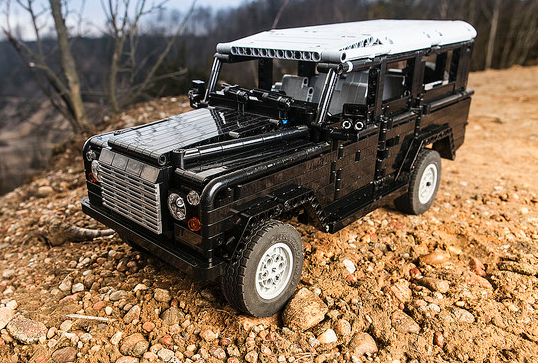 First featured here back in 2014 as a Power Functions remote control model, Krzysztof Cytacki (aka Dirtzone)’s stunning Technic Land Rover Defender 110 has recently been updated and wonderfully re-photographed. The model has had its Power Functions drivetrain removed since it was first featured here, and now features a full ‘Technic Supercar’ set-up, with working steering, an inline 4-cylinder engine connected to all four wheels, and live-axle suspension. There are some fantastic shots of each of the working components, showing how the engine, suspension, chassis and bodywork are constructed, plus of course more brilliant on-location images of the complete model like those shown here. 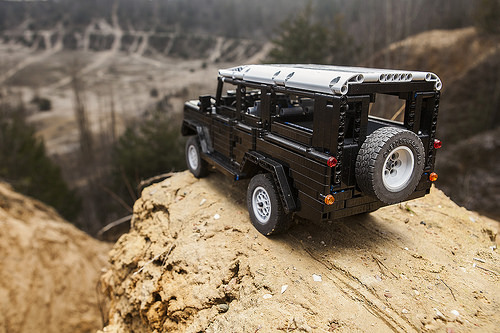 Head over to Krzysztof’s Land Rover Defender Flickr album for the complete gallery and start your dirty weekend.